We hope you all had a wonderful Easter holidays and we can't wait to hear all about the adventures you have been up to. The chicks have grown so much and have started to develop feathers. Our flower seeds and potatoes which we have been growing in the poly tunnel have grown so much. This week we are going to be talking about what we have been doing in the Easter holidays and mark making a picture of our favourite thing we did. It would be great if the children could bring in pictures or objects to support them with telling the group about their Easter holidays. We will also be looking after the new chicks and talking about how they have changed since before the holidays. We have got some gardening to do with planting some of flower seeds into new pots and covering up our potatoes. We are also going to be drawing our self portrait for our class tea towel. There will be a letter in the next couple of weeks with an order form attached to order tea towels. Everyone in the class will be on it. 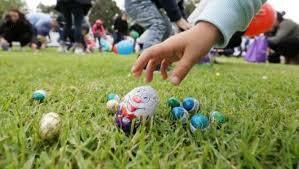 Can you bring in some pictures or objects from your Easter holidays? We will continue with our rhyming door by adding new rhyming words and playing rhyming games. We will continue to revisit the Read Write Inc Pictures and lots of FRED talk activities We will also continue with some alliteration by playing I spy. Julia's group have been learning the sound m, a, s, d and t. Karen and Helen group will be learning the sound m, this week. Please remember to check your Child’s post pocket when you hang up coats in the mornings, all important post will be there. As the weather is starting to warm, please could all children bring sun hats to school. We do have a box of spares if needed. If you have applied suncream to your child before school please could you let a member of staff know. If you have ticked to supply your own suncream, please could you make sure children have this when they come to pre-school ready for us to apply. It was lovely to see some of you at Stay and Play on Thursday. This week Stay and Play will be on Friday 26th April from 8.30-9.00am. Everyone is very welcome including younger and older siblings. Hope to see lots of you there. On Wednesday 24th April we have our story time at 3.10pm. Please come and join us. Our Saturday Stay and Play morning is on the 18th May from 10.00-11.30am. Hope to see lots of you there. Younger and older siblings are very welcome. Our swimming day this term will be Friday. A letter will be out this week with your child's dates to swim. Each child who attends on a Friday morning session will get to swim every other week. On Friday 26th April 5.00pm-7.30pm we are having Spring Fest. There will be lots of activities to take part in including spring crafts, planting, meeting the chickens, lambs, music, egg rolling and lots more. Tickets are £5.00 per a family of 4. Additional children £1.00. There will also be BBQ/Bar to buy buy food and refreshments from. Tickets for Spring fest a can be purchased from the Main school office. Hope to see lots of you there for a fun family evening out. On Saturday 27th April we have a community makeover day in the nature garden from 10-5pm. Please see poster and Facebook page for more information. The week of the 7th May we have got our sponsored bike and scooter ride. Please see letter to see which day your child is taking part. Children can bring in their bikes or scooters and helmets. We will be counting how many laps of the island they can do. Each child will get a certificate at the end. Here's to a great week back. NOTICE - Tomorrow's Pre-School and Reception trip has been cancelled due to the current weather forecast. Alternative arrangements will now be made to complete the same activities on site Thursday and/or Friday this week. Last week we shared lots of stories about Mother's day and our mummy's. We talked about all the special things our mum's do for us. We enjoyed making our surprises for our mum's which included decorating a plant pot and planting a sunflower seed in the pot along with our Mother's Day flower and butterfly wreaths. Throughout the week we have been busy looking after our seeds and plants in the polytunnel by watering them and topping up the soil on the potatoes. We have enjoyed counting down till the chicks hatch and looking at the information book of how the chick is looking inside the egg. The eggs have begun to crack this weekend which is a little earlier than expected. On Tuesday morning we had our PE session with Mr Treble on the school field and did some team games like egg and spoon race, running race and the frog game. Throughout the week we have really enjoyed playing in our outside area which such lovely weather. Even the suncream came out a few afternoons. On Friday morning a group of children went to watch Year 4 class assembly and in the afternoon a group of children went to the Forest schools area and did some mud painting. Pictures up on display in the classroom. This week we will be making some Easter treats to bring home to share with our families. We will also be watching our chicks hatch and earning how to look after them along with holding them. You can watch the chicks hatch live on the facebook page. They have already started to crack. On Wednesday it is our pre-school trip with Reception. If the weather forecast is correct, we may have to cancel the trip but we will make that decision on Tuesday and let you know. We will be sharing lot's of Easter stories throughout the week. Can you make a pattern using different objects? Bring in a picture to show your friends. We will continue with our rhyming door by adding new rhyming words and playing rhyming games. We will continue to revisit the Read Write Inc Pictures and lots of FRED talk activities We will also continue with some alliteration by playing I spy. Julia's group have been learning the sound m, a, s, d and t.
This half term Jennie will be talking to us about how we can keep our bodies healthy. On Wednesday there will be NO SWIMMING due to school trip. Here's to another Eggtastic week. Wow what a great week we have had. On Monday we talked about what we knew about farms and things we might see at the farm. We also thought of some questions to ask the farmer on our trip to the farm. We have been busy planting some lettuce and flower seeds up in the poly tunnel. We also checked on our potatoes. We went out on the balance bikes for a ride. We have gained so much confidence in using the balance bikes. On Tuesday morning we had our trip to the farm. The children were absolutely fantastic and we all had a great time. We had a tour around the farm and looked at the cows, sheep/lambs, horses, chickens, pigs, grain store and farm machinery. The children asked the farmer some fantastic questions. We had our snack in the barn and then enjoyed our muddy puddle walk back to pre-school. The children were brilliant at walking. Thank you for all your support in dropping the children off at the farm. In the afternoon we talked about our favourites bits and what we saw along with drawing some pictures. These are up on display in the classroom. Throughout the week we have been sharing a variety of farm stories and songs. All the children have had a go at making their own bread rolls. The children saw the wheat at the farm which we had a go at grinding in the school kitchen. We then knew wheat is made into flour and then flour can be used to make bread. The children enjoyed watching the changes throughout e.g. the bread rising. We hope you enjoyed the rolls. On Thursday afternoon we had a spring clean outside in the playground. We picked up lots of litter and swept up the leaves. The children enjoyed helping with this process. On Friday afternoon some children went up to the forest schools area and made different colours of mud to paint with. The children really enjoyed this and created some brilliant pictures. We have continue with our chick hatching countdown and we are all very excited. Just over a week to go now. There will be a live web cam so children can watch from home. This week we will be sharing lots of mum stories and talking about all the lovely things our mum's do for us. We will be creating some lovely surprises which they will be bringing home. We will also continue to plant some more seeds and look after our plants in the poly tunnel. We will also continue with our mud painting as the children asked to do more. We will continue with our rhyming door by adding new rhyming words and playing rhyming games. We will continue to revisit the Read Write Inc Pictures and lots of FRED talk activities We will also continue with some alliteration by playing I spy. Julia group have been learning the sound m, a, s and d.
On Wednesday there will be SWIMMING. On Wednesday 3rd April we have got our trip with Reception. Please return permission slips and see letter for details. No swimming on this day. Here's to another great week. Last week we had a very exciting time in pre-school. On Monday we talked about what happens in Spring and read a poem about Spring. We had a go at painting daffodils. We also finished off our own story books which are up on display. On Monday afternoon we had a parcel arrive and we had great fun guessing what was in the box....Potatoes. We planted our potatoes up in the wildlife garden. We also had a story in the new outdoor wigwam. On Tuesday morning we had some eggs arrive at pre-school. We talked about what might come out of the egg. We talked about how we could get the eggs to hatch. We put the eggs in the incubator and talked about how long it would take for them to hatch and the job of incubator. We drew some pictures of what might be inside the eggs. These are up on display. On Tuesday afternoon we had great fun playing some ring games in the school hall. On Wednesday some of us went swimming. It great to see children confidence in the water and their swimming skills developing. In the afternoon we went and planted some flower seeds in the polytunnel. We talked about what seeds need to be able to grow. Also we collected sticks and the challenge was to create a picture using sticks. There were some great stickmen and houses. We found a tyre on the school field and had great fun rolling the tyre down hill. We had a guess whether the tree would be faster or slower than us. On Thursday it was World Maths Day. We had a maths story at group time. We then made some Numicon biscuits. We hope you enjoyed them. In the afternoon we went on a number and shape walk around the school. On Friday it was Red Nose day. We all had fun wearing our red noses. We shared a child's red nose day story to explain the concept. The children did really well understanding it. We all had a go at drawing our own funny noses. In the afternoon we went on a treasure hurt around school and talked about our favourite thing which is red. This week we will be talking about what happens on the farm in particular at Spring time. We have got our trip to the farm on Tuesday morning. We will be finding out from the children what they would like to find out about and following their interests. We will be sharing lots of farm stories and songs during the week. We will continue with our egg hatching countdown and talking about how the egg is changing inside. We have got some more seeds to sow up in the polytunnel and we need to look after our other plants by watering them. At the end of the week we will be beginning to make our surprises for Mother's Day. Have you got a favourite farm story? Can you bring in a picture about spring or farm's to talk about at group time? We will continue with our rhyming door by adding new rhyming words and playing rhyming games. We will continue to revisit the Read Write Inc Pictures and lots of FRED talk activities We will also continue with some alliteration by playing I spy. Julia group have been learning the sound m, a and s.
The literacy and maths focus coffee information session powerpoint is on the school website under class pages and pre-school. If you have any questions please do come and see me. It was lovely to see lot's of our families at our stay and play session on Saturday. We hope you all had lots of fun. The next Saturday stay and play date will be next term. On Tuesday 19th March we have our farm trip. Please return permission slips. We will see you at the farm for 9.00am. Look out for the ballon to find the entrance. If it is raining on the day the trip will be cancelled and we will be meeting at pre-school. Please keep a look out for updates. Please can children come in wellies or walking shoes and have a coat. We will be having our snack at the farm and then we will be walking back to pre-school. Children can bring all their belongings to the farm e.g. bags and lunch boxes as a member of staff will have their car to take these back to pre-school. Any questions please do come and see me. Here to another great week. Last week we had a fantastic World Book Week. On Monday morning we went to the school assembly to meet the author David Soleman. He read us a story and we watched him open the new school library. We also started to make our own story books up. this are on display in the classroom and we will be continuing our own books this week. We went to the library in the afternoon and listened to the story Ellis bought in from home. On Tuesday it was Pancake Day. We had pancakes for snack with our favourite topping. We all loved our pancakes. We listened to the story of Mr Wolf's Pancakes. We had a go at painting our own pancakes and cutting out our favourite toppings and sticking them on our pancake. Some fantastic scissors skills. We helped Julia make the pancake mixture and learnt how to make a pancake. Our Pancake Day photos and work are up on display. In the afternoon we had great fun having pancake races outside. We used the maths language of 1st, 2nd and 3rd. On Wednesday and Thursday we went to Dorchester library. We had a tour around the library and Mary talked about all the different things you can do at the library. We looked out of the windows on the top level and we could see lots of Dorchester. Mary read us a story and we sang some songs. We also choose a book each to bring back to Pre-school. These are in our book corner. We all enjoyed our ride on the bus. On Thursday it was World Book Day and we all dressed up as our favourite book character. We drew a picture of ourselves in our costumes and told Julia who we had dressed up as and why we choose that character. These are up on display in the classroom. On Thursday afternoon we had an author come to visit us and read her story. We did some fantastic listening. On Friday a small group of children went to watch Year1 class assembly at school. It was all about space. On Friday afternoon we played Bingo. It has been lovely to share the children's favourite stories this week. If your child hasn't bought their favourite book in yet, they can this week. This week we have got a very exciting week. We will continue with making our own story books. On Tuesday we will be starting the process of hatching our own chicken eggs. Throughout the week we will be doing lot's of gardening and activities about Spring. This week it is World Maths week so we will be doing lots of exploring and fun maths. On Friday it is Red Nose Day. Can you bring your favourite story in to share at group time? To celebrate World Math's week bring in a WOW maths moment (it could be some great counting, recognising numerals, solving a maths problem etc. We will continue with our rhyming door by adding new rhyming words and playing rhyming games. We will continue to revisit the Read Write Inc Pictures and lots of FRED talk activities We will also continue with some alliteration by playing I spy. Julia group have been learning the sound m, a. On Thursday 14th March there is a Literacy and Maths focus coffee morning. I will be sharing lots of information on how we support children's learning with literacy and maths including Read Write Inc Nursery. Along with ways to support them at home. On Tuesday 19th March we have our farm trip. Please return permission slips. Any questions please do come and see me. Our next Saturday Stay and Play is on Saturday 16th March from 10.00-11.30am. Younger and old siblings very welcome to join us.